I did some research about search engine optimization because people ask me about it all of the time. I went to the major search engines, Google, Bing, Yahoo, and looked at their advice about making websites more friendly for their services. CONTENT was one of the common themes between all of them. Having unique, relevant, high quality content that generates interest and value, enough to make other sites want link to yours, is what they rank most highly. Another common theme was that trying to fool their algorithms into ranking your site content falsely high is a really bad idea. There are plenty of SEO services out there that will “guarantee” you a high ranking, but too many of them are using deceptive techniques that can actually harm your ranking in the long run. Don’t buy their snake oil! Natural links versus unnatural links are what the bots and crawlers really care about. The real benefit of being search friendly is in how well your site ranks in free/organic search results, not in paid or sponsored ads. The types of firms that search engines recommend are the ones that help you improve your site’s flow and site content quality. Look for SEO firms that: review your site content and structure; provide assistance with correct use of web technology such as use of scripts and page redirects, does site error analysis and error pages; will help you develop content that meets search engine best practices; does keyword research for your industry; has expertise in your market and geographic area; can provide online business development campaigns; and trains you to continue making your content SEO friendly and market yourself effectively to gain natural links to your content. Make your site easily accessible. This is not just to satisfy government regulations or be more friendly to people who use assistive technology. Content on your site that is hidden from text-only browsers is also hidden from search engine crawlers. If you are not placing meaningful alternative text in your site for your images, users who access via screen readers as well as search engine crawlers will miss it. Images with important names, content or links in them are not effective for search unless the text from those images is includes as alt text too. Crawlers don’t recognize text contained in graphics. Give users the information they are looking for on your site, especially on your homepage. This is done via good navigation, easily visible contact information, easily recognized business products or services, and using words in your content that users would type to find your pages. Do you know how to learn what search words led someone to your website? If the answer to that question is “no,” then we should chat. Make sure that other sites have reasons to link to your site. Don’t try to buy links to make your site appear more popular. Those unnatural links aren’t fooling search engine algorithms and may even lead them to devalue or remove your site in their engines. Provide valuable information. Make it unique if you can. We all get lost in signal noise these days. Create unique images and use them wisely to make your content more engaging. Great images in posts make people more likely to share them in social media too. Don’t create hidden content that is intended to be “crawler only” with lists of fake or inflated keywords. If your site has pages/links/text that you don’t intend users to see, it can be considered deceptive and some crawlers may ignore your site. 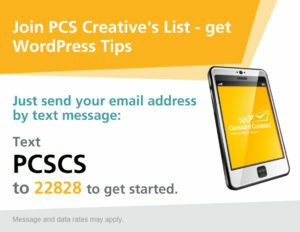 It is also important to not create multiple copies of the same page and then use different URLs for it. Basically, don’t try to fool the search engines. There are no shortcuts to SEO that allow you to have poor content quality or poor marketing practices. High visibility without a high-quality and user-friendly website will harm you, not help you. Rich media content can sometimes hide content from search bots. This can really be a problem if it hides your navigation menu, so be sure to analyze your site pages with tools that help you find problems. Excessive pop-ups can also create issues, especially if they interfere with navigating a site. Oh, and make sure your site can be indexed. I can’t tell you how many times I’ve seen people forget to uncheck that option in WordPress after their site is out of development. Make sure you have a sitemap and it gets refreshed on a regular basis. In conclusion: There are plenty of SEO Snakes in the Wild World of the Web. Search can be a great tool and taking it into consideration when building quality content can help your site get noticed. However, there are no real shortcuts to providing value on your site or to marketing your site and sharing your content in other ways. Use search as a tool, but don’t expect it to be a magic pill. 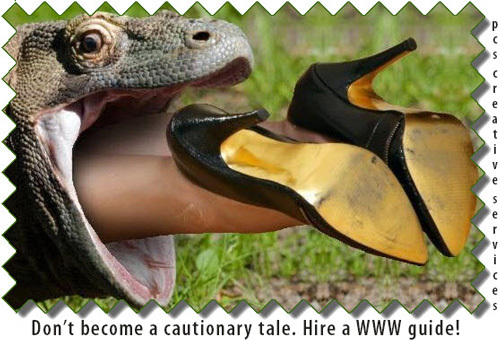 And don’t fall prey to the many black hat companies out there who want to sell you quick and easy SEO solutions. Find the ones that do it right and put in your own due diligence and you’ll start getting noticed.